The centerpiece of the American Pavilion at the next world’s fair, which will be held in Dubai in 2020, will be the hyperloop. Earlier this week, Pavilion USA 2020, a public-private partnership between the State Department and businesses working on the exhibition, announced the theme of the pavilion—“What Moves You: The Spirit of Mobility”—as well as its main feature: an experiential demo of Virgin Hyperloop One’s vehicle. The pavilion will not only provide a demonstration of a hyperloop’s pods may look and feel, VHO’s head of marketing and communications Ryan Kelly stressed in an interview with Popular Mechanics. It will also preview what the overall experience of a new mode of transportation will be like. The world’s fair will do its part of the simulation by providing the sheer volume of people. “With 25 million people estimated to visit over six months, we look at is an opportunity to show how safety and security will work, what boarding ramps will be like—what it’s like at a hyperloop station,” Kelly said. The project, still in the exploration phase, is slated to feature two pods based on VHO’s designs, with a combination of video, animation, and mechanical effects to simulate the physical effects of the lightning fast vehicles says David Rich, Senior Vice President of Client Services and Pavilion Activations at George P. Johnson, the firm that will create the experience. The main challenge is ensuring a high degree of accuracy when, according to VHO, the production pods will probably be in development for another half-decade. But that’s also kind of the point: to force VHO—and the whole hyperloop community—to draw more and more of the hyperloop concept into reality. Since Elon Musk published his 2013 white paper detailing a concept system of pod vehicles that go through transport tubes in a near-vacuum at speeds around 800 miles per hour, it’s been an open question whether or not an example would ever come to fruition in real life. 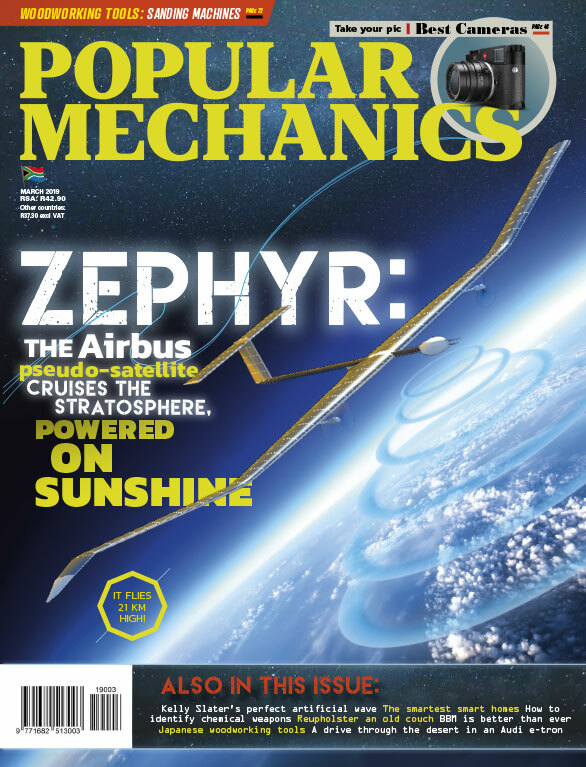 When Popular Mechanics took a comprehensive look at the state of affairs almost exactly one year ago, the consensus was that the technology was feasible but that the political challenges of pulling off such a project in the U.S. would be formidable, to say nothing of the cost. Even the first step, getting the land to build a route between two cities big enough to be worthwhile, is bound to be a serious challenge. For VHO’s part, the goal is clear: To build and maintain momentum. 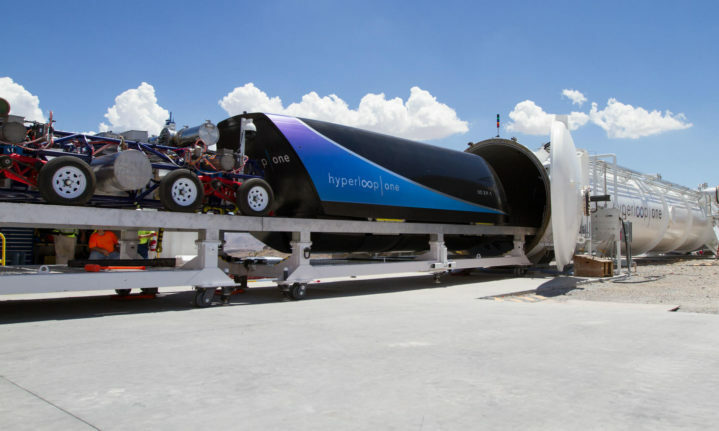 At the time of Popular Mechanics’ last report, it was already the most advanced company working on the hyperloop, and that was before it became Virgin Hyperloop One, adding Richard Branson as Chairman of the Board in December 2017. Branson recently stepped down—possibly due to tensions with Saudi Arabia, where Hyperloop One has done business—and was replaced this month by Sultan Ahmed bin Sulayem, the CEO of the company that runs Dubai’s ports. It’s part of VHO’s overall strategy of working with governments anywhere and everywhere to engage real-world decision makers. So far VHO has put together deals of varying levels of maturity with officials from Ohio, Colorado, Texas, India, Spain, and more. If there is one thing the casual observer may miss in the story of the hyperloop, it’s that while Musk planted the seed, he and his original white paper are no longer its driver. As VHO and others have developed the platform, they’ve found flaws in Musk’s design and altered the concept as they see fit to make it more possible to implement in the real world. It’s not just another of Musk’s fanciful ideas anymore.